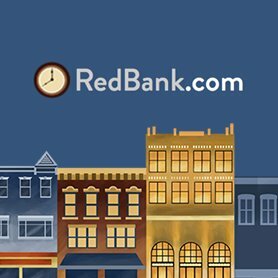 There are lots of events throughout the year in Red Bank. The Red Bank Visitors Center is a great source for finding out what's happening in town. The Count Basie is an historic theater that offers a wide spectrum of entertainment including live music, comedy, film, and educational programs. Visit CountBasieTheater.org to learn more. The Two River Theater is home to exceptional stage performances from beloved classics to brand new productions. Visit The Two River Theater's web site to learn more. The Bow Tie Cinema in Red Bank shows many first run independent and foreign films with limited release. Visit the Bow Tie's web site to find out about upcoming movies. Red Bank is known for its fine dining and great nightlife. You'll find just about any style of food and drink. Visit the Red Bank RiverCenter's dining guide to learn more. The Red Bank Farmers Market at the Galleria offers fresh and locally grown produce as well as speciality food trucks -- including Vegan ones. The market usually runs every Sunday from Mother's Day till mid November, however please check the Galleria's web page for the latest information. The Red Bank Public Library provides Red Bank residents with information, technology, and cultural opportunities. Be sure to check their web site to learn about any upcoming events. There are plenty of beautiful parks and outdoor activities to enjoy in Red Bank. Visit the official Borough of Red Bank web site to learn more.